Can you buy gold with Bitcoin? What about other cryptocurrencies? Since Bitcoin was established in 2008, its price has soared. As a consequence of its increasing value, its acceptance as a method of payment has spread, too. 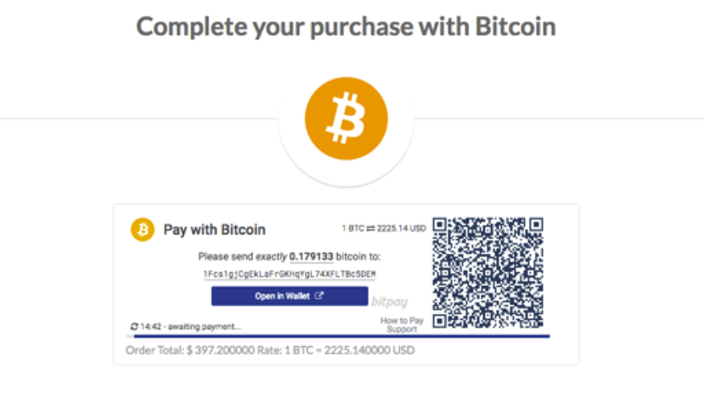 Small wonder why: Bitcoin is both a currency and an online payment system rolled into one. And the crypto revolution has led to an explosion in both the number and value of other digital currencies, including Ethereum, Ripple, Litecoin, and hundreds of others. As this new sector has evolved, GoldSilver has witnessed incredible growth in the “pair trade” between gold and cryptos—investors who swap their digital coins for physical gold and silver, and sometimes back again, using precious metals for both diversification and as a stable value store during turbulent times. That’s partly because it’s quite easy to do, even if you own a token other than Bitcoin. In fact, GoldSilver was among the first global e-tailers to offer bitcoin-based purchases. That continues today, as we accept Bitcoin and Bitcoin Cash directly—along with many other cryptos via convenient swap services. If you’re an active crypto investor and own one of the many other cryptocurrencies, you can still swap some of those holdings for gold and silver. Just swap for bitcoin and you’re set to buy bullion. You can use services like ShapeShift or Changelly, or make the trade on popular exchanges such as GDAX/Coinbase or Bittrex to convert your alternative coins into Bitcoin, which will allow you to make your metal purchase directly. Or, in a pinch, you can sell the cryptos for US dollars and then buy with a check, debit/credit card, or bank wire. Whatever you do, it’s important to watch your risk level when buying gold with Bitcoin. And the best way minimize that risk is to use a trusted dealer. GoldSilver has been serving customers around the globe for more than a decade, has sold billions of dollars in metals, and is independently verified as one of the most trusted dealers there is. And one reason we’ve gained that reputation is because we’ve made the process easy and low-cost. It’s as easy as 1-2-3! Here are the three basic steps to follow (which are clearly explained as you go through the online checkout process). Step 1: Shop! Add whatever you want, as much as you want, to your cart. Step 3: Pay your invoice. You’ll receive an invoice with our Bitcoin address. Log into your Bitcoin wallet app – make sure it supports the new bitcoin payments protocol, or transfer it to a wallet that does – and open it to the send payments screen. Then simply scan the code to pay. Once your order is confirmed, you have 15 minutes to pay your invoice. Note that your order can be in a pending status for as long as one business day. That’s because payments pass through several Bitcoin “blocks” for approval. So don’t fret if it takes as long as 24 hours for your payment confirmation email to arrive. Even though it’s not instantaneous, Bitcoin is still one of the quickest forms of payment we process. And it’s one of the cheapest: GoldSilver currently offers Bitcoin customers a 3% discount off of our regular price on all orders. 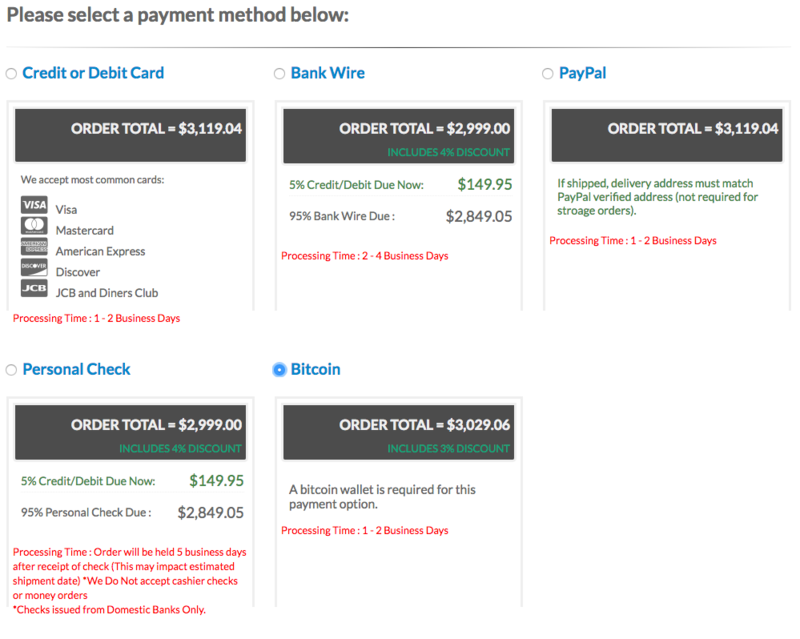 Don’t forget that the Bitcoin network charges a transaction fee, too, though it is usually small. GoldSilver currently accepts Bitcoin transactions up to $1,000,000 per order online. If you want to make a larger order, you can, just contact our customer service team to arrange it. If you need help any other help with your Bitcoin transaction just give us a call at 1-888-319-8166 (US and Canada; international 001-310-566-6655) or send us an email. Otherwise, happy shopping!